The East Hills Council of Neighbors continues to move forward on their Urban Forest Plan with the help of the City of Grand Rapids. 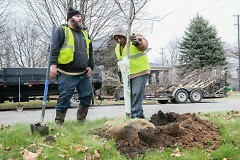 The East Hills’ urban forest got a boost last week when the City of Grand Rapids planted 100 new trees in the area. 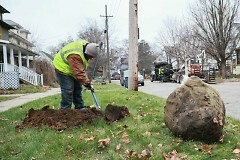 The East Hills Council of Neighbors continues to work on their urban forest plan with the City of Grand Rapids. “The trees will add a touch of spring color to East Hills for many years to come, because the four species being planted all feature spring blossoms,” says Rachel Lee, Director of the East Hills Council of Neighbors. Lee notes that all four species were chosen, in part, because they are small stature trees. They include dogwood, chokecherry, redbud and Japanese tree lilac. 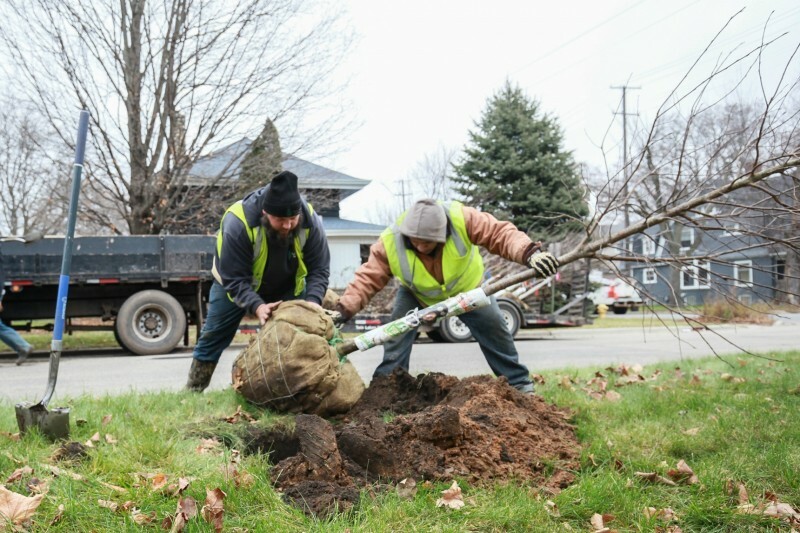 “The trees will be planted in locations where overhead utilities and/or small parkways limit the size of trees that can be planted. 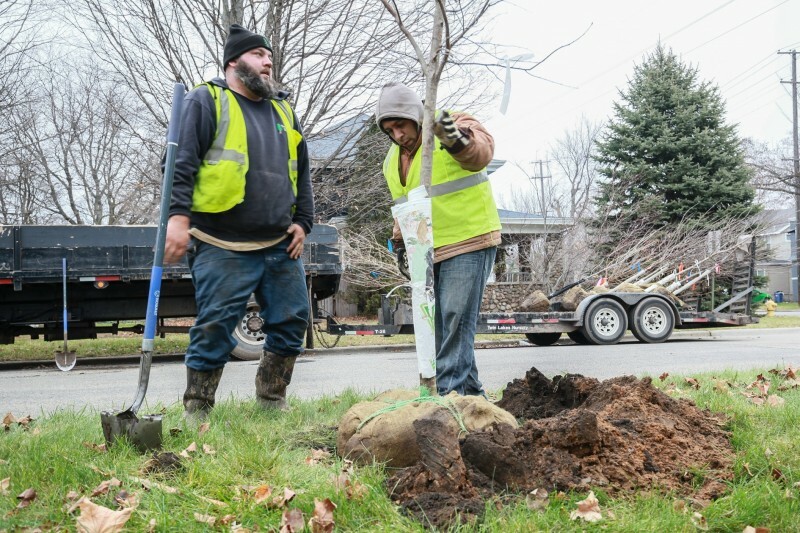 The tree planting will help East Hills achieve goals outlined in its Urban Forest Plan, including increasing the diversity of the neighborhood’s street trees and increasing the number of street trees,” says Lee. The Urban Forest Plan looks to “maximize the benefits of the urban forest, promote resident education and involvement and engage collaborative partners,“ according to the East Hills Tree Report. Looking at the East Hills neighborhood in the Tree Map on the Urban Forest Project’s site reveals 1777 trees which have been identified so far. Lee says the 100 new trees planted are not reflected on current maps yet, but will be once they finish their Urban Forest plan update this spring. Their goal is to plant 500 new trees by 2020, so the 100 new trees move them 20% towards that goal. “The tree planting is funded by a federal Great Lakes Restoration Initiative grant, matched by the City of Grand Rapids, under which the City will plant 2,000 trees over a two-year period. The contract for the planting was awarded to Twin Lakes Nursery. Because regular watering is a key factor in tree survival, adjacent property owners will play an important role in the long-term health and vitality of the trees,” says Lee. 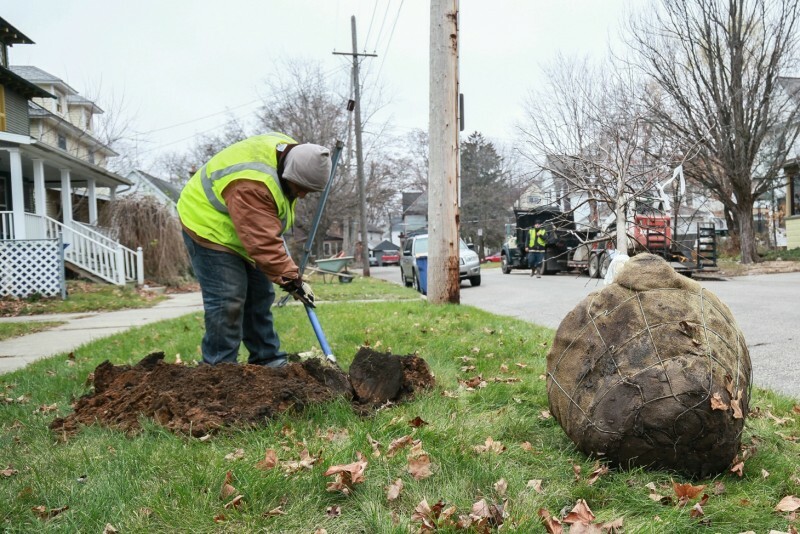 “Next spring the City will install 20-gallon “tree gator” bags that provide both a convenient way to quickly water trees and a visual reminder of the need for watering,” Lee adds. These bags need to only be filled once or twice a week and slowly release water into the ground. They also reduce run-off and evaporation, conserving more water for the trees. The East Hills Council of Neighbors is located at 131 Eastern SE.